Toronto, On. September 19, 2018 – Broker ONE announced today that Ron De Silva was appointed as President & CEO of the network. Ron, co-founder of Real Mortgage Associates (RMA), joined Broker ONE in September 2016 when Broker ONE acquired RMA. 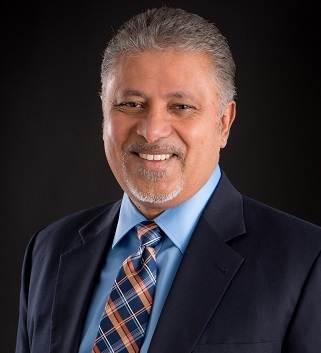 Jason Singh, Chairman of the Board and co-founder of Broker ONE stated “Throughout his career Ron has played significant roles in helping new companies get established in the mortgage industry. From the launch of Invis in 2000 to Cervus Financial (now, MacQuarie Bank) to Real Mortgage Associates (now, member Broker ONE), Ron’s expertise in various leadership capacities was relied upon heavily.” “I am looking forward to Ron’s leadership as he guides Broker ONE towards achieving its future milestones.” Said Singh. Ron De Silva, president & ceo said, “I am honoured to be leading this network into the future. Broker ONE has many, very successful affiliate firms with unique brands and unique ways of doing business. One of my primary objectives, amongst many, will be to identify best practices from within this group (and externally) and implement them network-wide.” “Broker ONE members will reap increased benefits from being part of the network while still maintaining their individual brand identity” said De Silva. In addition to the President & CEO role, Ron will continue as the principal broker of RMA.